RENTON, Wash. Seattle Seahawks cornerback Richard Sherman won his appeal of a four-game suspension for use of performance enhancing substances on Thursday, making him eligible for the NFL playoffs. 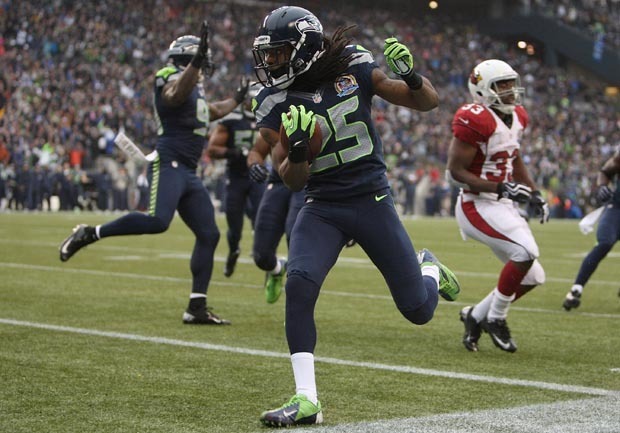 Sherman posted "I won," on his Twitter account Thursday morning, followed by teammates tweeting their congratulations. Sherman added, "Thank you (at)nfl for upholding the truth! To the 12s Thank you your faith is rewarded! Thank you lord." The decision was made by former NFL executive Bob Wallace. Sherman was steadfast since news broke of his pending suspension that he believed he would win on appeal. Sherman's appeal was based on errors in the chain of custody of his sample and that there were mistakes made by the tester. Sherman made his appeal late last week. NFL spokesman Greg Aiello said in an email the league is reviewing the decision, but was declining comment due to confidentiality provisions. The decision makes Sherman eligible for the Seahawks season finale against St. Louis and, more importantly, the playoffs. Seattle has played the last three weeks without fellow starting cornerback Brandon Browner who is serving a four-game suspension for a banned substance violation. As CBSSports.com reports, Sherman and Browner were both suspended for failing a PED test, allegedly for Adderall. Adderall: NFL's popular new drug or easy alibi? Browner's suspension expires after Sunday's game against the Rams, so Seattle will have both of its starting cornerbacks available for the postseason. "Congrats to Richard Sherman for winning his appeal! Happy for him & it'll be great to have him with us as we move forward," Seahawks coach Pete Carroll tweeted Thursday morning. According to STATS, Sherman is tied with Pittsburgh's Keenan Lewis for the NFL lead with 23 passes defensed. He is tied for second in interceptions with seven. Sherman was a surprise omission from the Pro Bowl roster announced Wednesday. Despite his impressive numbers, Sherman was a first alternate at cornerback for the NFC, behind the Chicago duo of Tim Jennings and Charles Tillman, and Arizona's Patrick Peterson. Even before the Pro Bowl rosters were announced, Sherman didn't seem to care about getting a trip to Hawaii. "It don't mean nothing," Sherman said Wednesday. "I bet you I'll be on the first-team All-Pro. That means more to me."